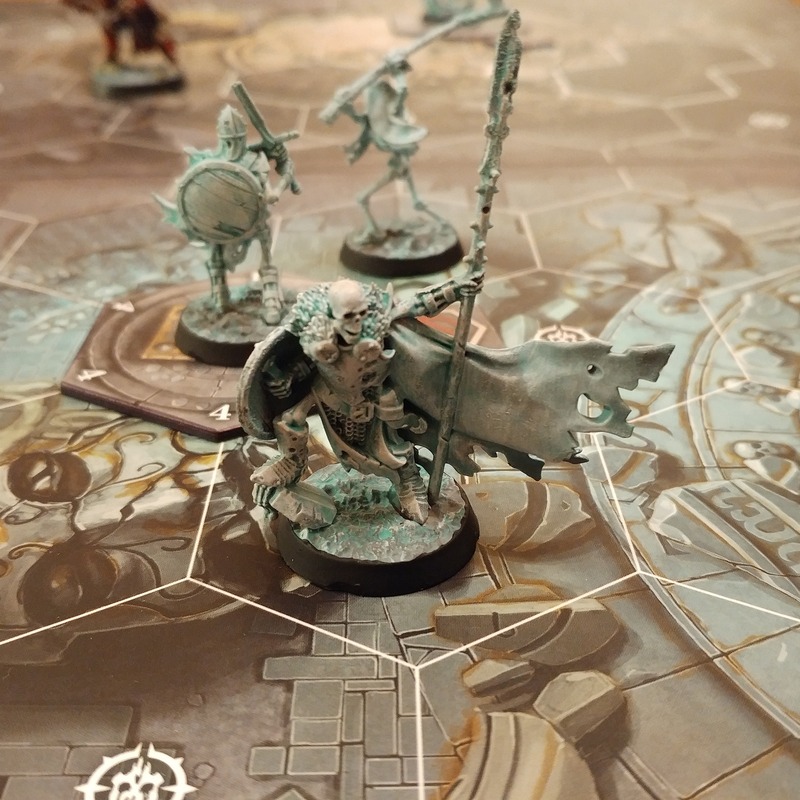 I am actually hobbying quite hard at the moment, but haven’t taken the time to post anything here. Mostly because this takes me way longer to post than say, a quick Instagram or Facebook post. However, lots of things have been sort of moving forward. Since going to a proper Infinity tournament, I have not actually played much or any Infinity. However, what I did do is pick up Warhammer Underworlds: Shadespire in November last year. 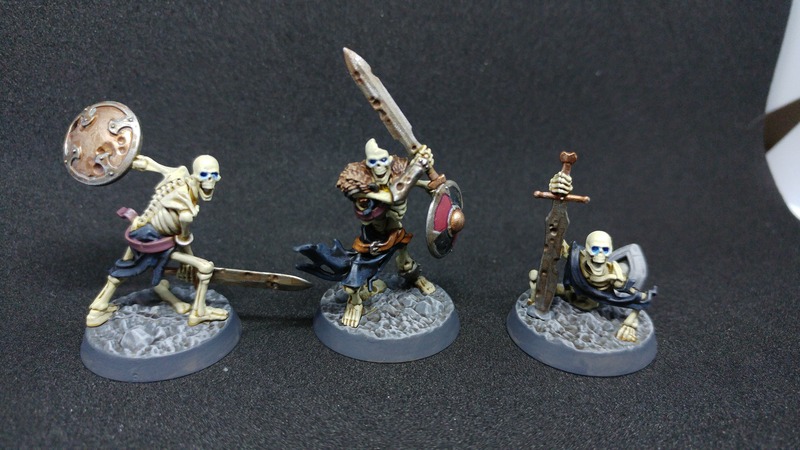 I immediately decided I wanted the Skeleton Boys, so waited for them to come out then picked up the base set and the Sepulchral Guard expansion. I had a game before I got my hands on my own skeletons, it went..poorly. 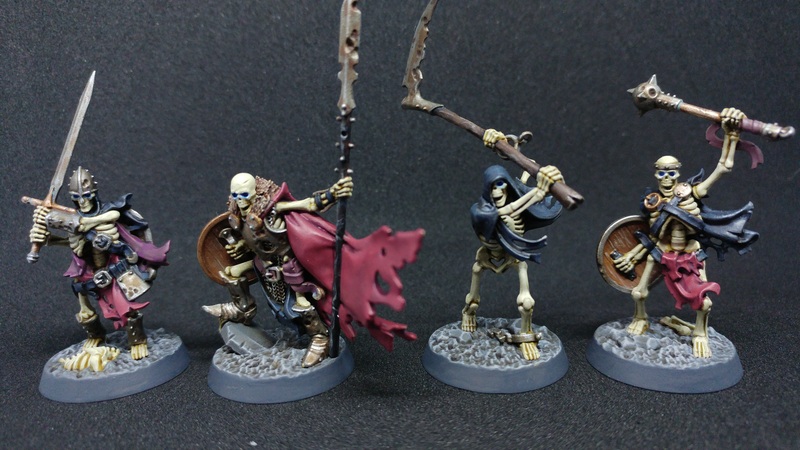 But my friend had painted his up as ghostly spectres, quick and dirty but effective all the same. I then picked up the set for myself while at a club gaming day. I am a member of the Yorkshire Renegades, a gaming and modelling club based in, you guessed it, Yorkshire, UK. 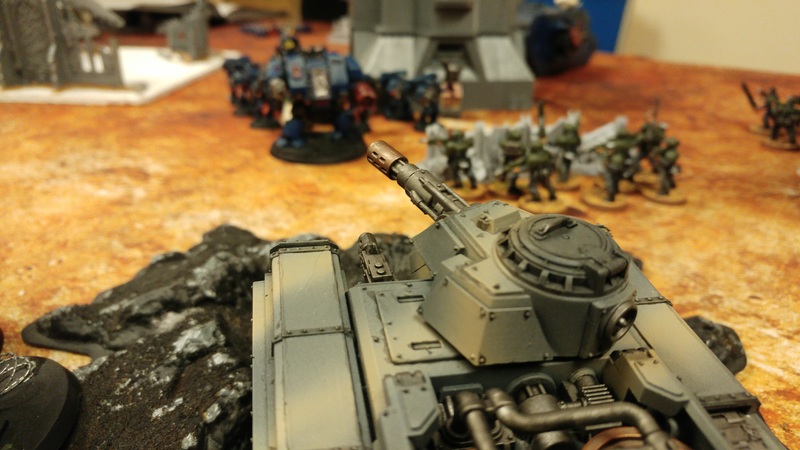 On that day I had my second ever game of Warhammer 40,000 8th Edition. 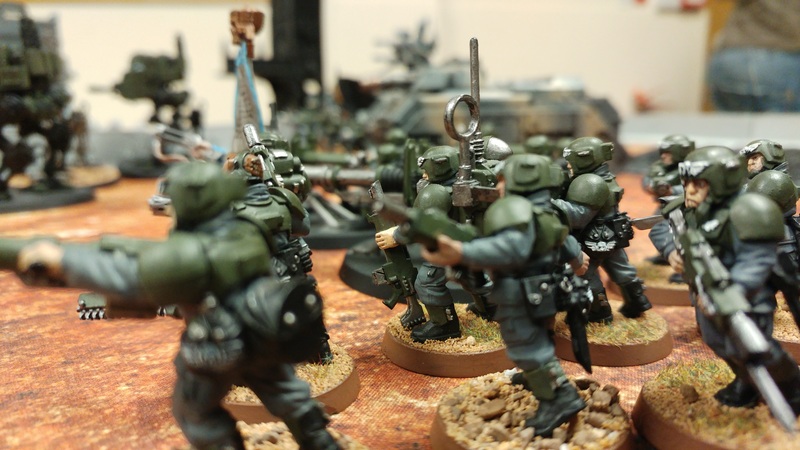 It was a long game, as I had brought quite a few guardsmen, but the new rules for Astra Militarum seemed quite fun. Not knowing what any of my command powers or orders did, unless they hadn’t changed since 7th, meant lots of reading though! With so many bodies, the Astra Militarum just absorb fire. My Hellhound managed to pop one whole Dreadnaught all game. The three Petitioners, or as I like to call them, chaff. And the final thing I’ve been working on is my newly acquired Kharadron Overlords. I finally took the dive into getting Dwarves in the sky, and I love them. 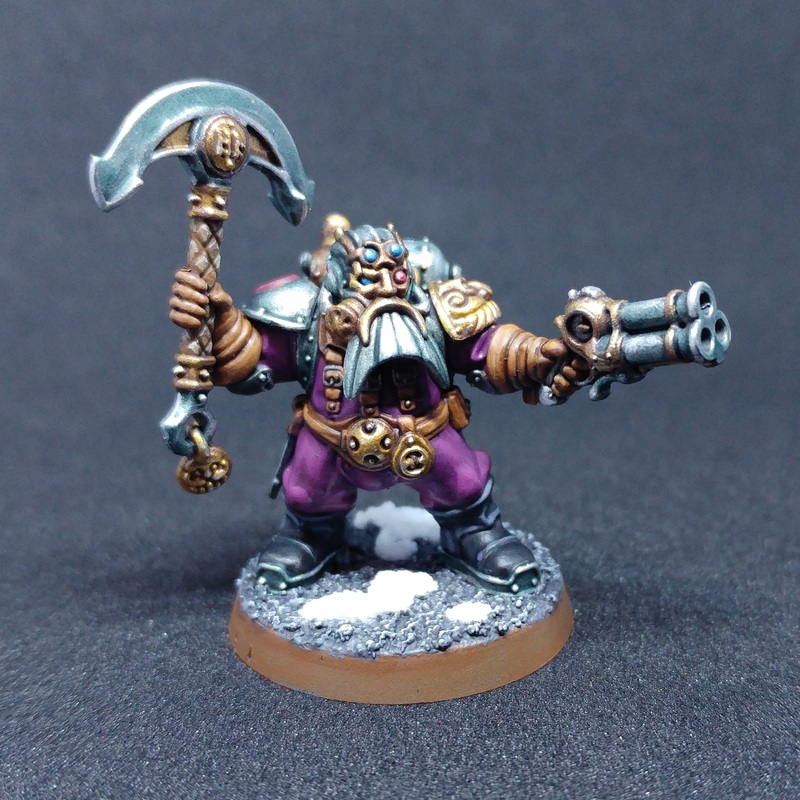 I did a test model in the colours of Barak Urbaz, and I was pretty happy with the results. I will reveal more of them as I complete them in another post! Test colour scheme turned out well!